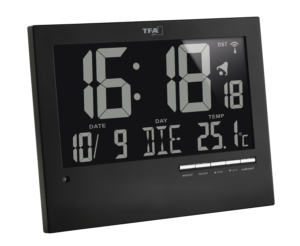 This TFA radio-controlled clock in XXL format has a very clear display. 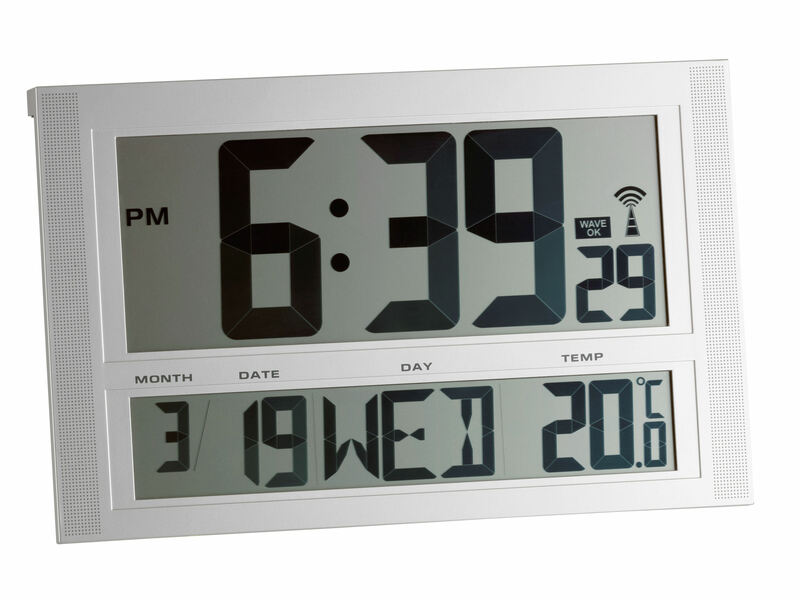 The time is displayed extremely large and can be read well from far away. 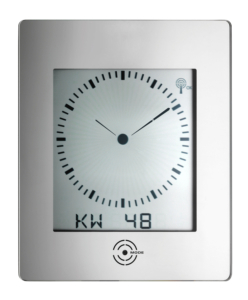 This makes it particularly suitable for the entrance or reception area, the waiting room and the office. 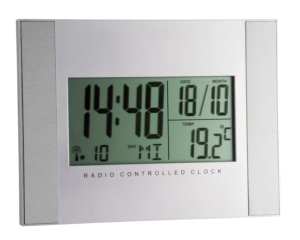 The integrated thermometer measures the indoor temperature, thus ensuring a pleasant climate in your living and working spaces. 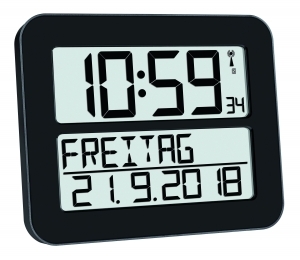 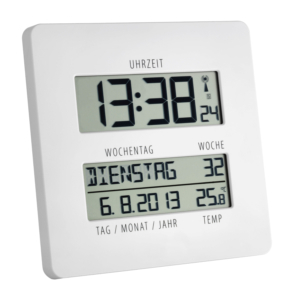 In addition, the radio-controlled clock displays the date and day of the week. 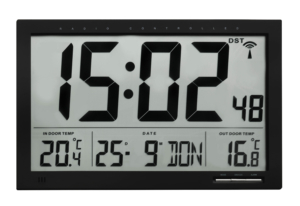 The time is set to the exact second via the DCF77 signal and the change from winter to summertime is also automatic.